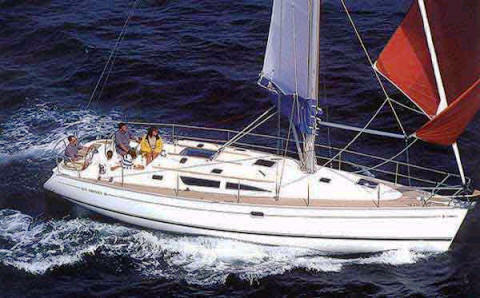 The Sun Odyssey 40 Italy based charter bareboat is a fun yacht to sail. The Jeanneau 40 is comfortable, innovative in design and yet also offers a traditional feel. She has an easily driven, fast hull which was designed by Mr D Andrieu. Her look is one of contemporary modernity and her performance, on the water, has and sea worthy feel it. On deck The Jeanneau Sun Odyssey 40 provides twin steering stations, for superior helming views, (unusual in a 39 foot bareboat) as well as a very intelligently conceived deck layout plan. When you combine this with a well performing hull you have a truly exciting sailing yacht. The yacht’s cockpit also extends all the way to the stern thus providing a real dimension of space for all the charter crew, whether sailing entertaining or just relaxing in the sun. The interior features traditional Burmese teak which has been generously employed throughout the yacht thereby creating a rich, yet relaxing interior environment. This Italy based Sun Odyssey 40 provides charter guests ample storage and useable space, which is found throughout the charter yacht. 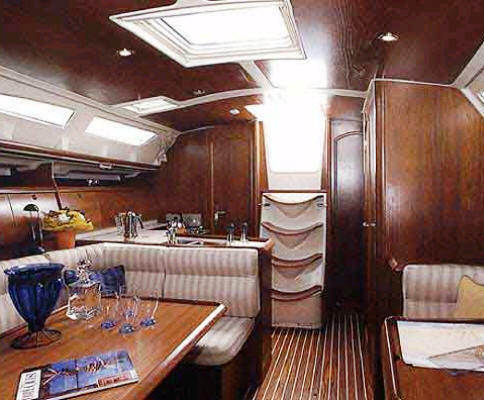 All this and more adds to the Sun Odyssey 40’s overall yacht charter comfort and enjoyment. The Jeanneau Sun Odyssey 40 bareboat provides up to 6 charter guests with three double cabins. One of the cabins is forward and there are two more aft as you can see in the layout diagram. The forward cabin is equipped with its own private ensuite, while there is also one additional bathroom and head with a shower to the aft. 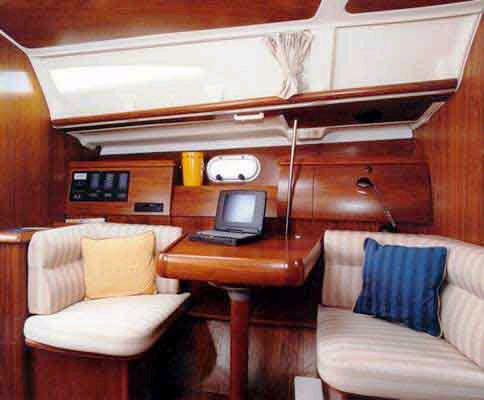 The main salon and galley of the Odyssey 40 is elegant as well as nice and light due to the reasonably sized windows. 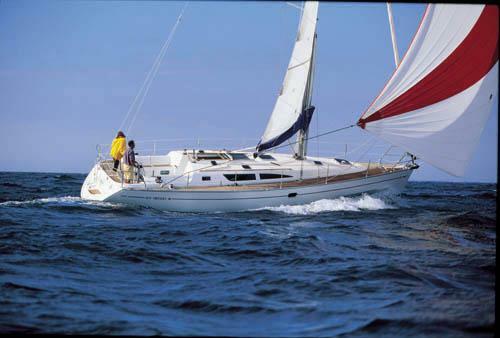 The Italy Jeanneau Sun Odyssey 40 offers the following bareboat charter amenities and extras: She has fully furling mainsail and genoa fore sail, she has wheel steering as well as an electric anchor winch. Her electronic navigation equipment includes a G.P.S., an autopilot, a depth sounder, wind instruments, as well as a navigation plotter, a radar and a V.H.S. radio. The Odyssey 40 also offers a great bimini and spray dodger and an on deck shower. Other charter features include a compact disc player, a fully equipped galley (with a gas stove & oven and electric fridge & freezer). Optional extras for your charter vacation include the possibility of a skipper and or hostess if requires, a supply provisioning service, and an outboard engine for the yacht’s tender.